Protein is a very important nutrient required by your body to function properly. Whey protein, a naturally-occurring dairy protein, boosts your body's immunity, and provides you proper strength and stamina, enabling you to cope up with heavy physical activities. It is a rich source of BCAAs that manufactures glutamine, a primary fuel of the immune system. They help in improving protein synthesis in muscles, and ensure enhanced muscle recovery. Working hard in the gym makes you tired and your body needs an instant energy booster. 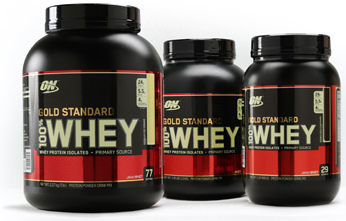 The ON (Optimum Nutrition) Gold Standard 100% Whey Protein provides you proper energy and helps you get a perfect, toned body.